Since 1999, Liz Plaster Companies, formerly Positive Performance LP, has truly impacted the performance of individuals and organizations by providing proven models and techniques for creating high-performance organizations, leaders, individuals and teams. Liz and her team help build customer focused cultures within organizations by utilizing a systems perspective merging business, emotional intelligence, wellness and best practices in coaching and education. Liz Plaster Companies help clients discover how to leverage trust, increase clarity in communication and expand their emotional intelligence to increase productivity and satisfaction. Utilizing proven RESULTS coaching and trademarked methodology, we provide comprehensive hiring, training and management support, and leadership development programs to organizations, teams and individuals. With our coaching and consulting services customized to suit the needs of each client, our interactive street-smart programs are designed to get teams to think for themselves. Our goal is to truly impact the performance of our client companies by utilizing an interactive design process to obtain the strategy that will help them reach their assigned performance targets. Liz Plaster M.Ed.,has over 25 years in research and application in human behavior. Journeying through life as a cowgirl, business entrepreneur, educator, community leader, award-winning author, sales professional, artist, and drummer, Liz brings all she is to what she does. Her Hair on Fire integrated systems approach - merges business leadership, emotional intelligence, wellness and best practices in coaching, sales, brain based education and adult learning. 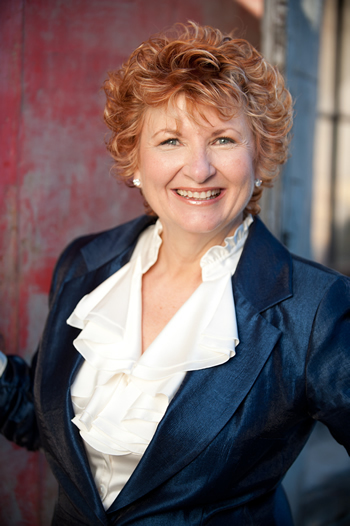 She is current President of the ICF Chapter of Houston Coaches (2011-12), former member of the James Baker Institute at Rice University - Task Force on Early Childhood Education, DABAR Advisory Board Member , sponsor of Living Forward Alliance and frequent instructor at the Carl Jung Center of Houston. Living with . . .
Purpose: Live with conscious choice and intention. Live with impact. Know why you are here. Emotional Intelligence (EQ): Utilize the wisdom of your emotions combined with thought to make wise and empathic choices. Explore self-awareness, belief and potential. d) Allow: gratitude, laughter, creativity and forgiveness in each day. Connection: Build healthy relationships with yourself and others. Spiritual Intelligence: Utilize daily practices that align your actions with your intentions. Prosperity: Create the income to support your goals and purpose.